Product information "7-Fold Shantung Grenadine Tie - Navy - Handrolled"
Summery shantung ties are among the absolute classics. Wear this tie with a light grey suit, berry bamboo braces, green pocket square and suede derbies: this tie nearly always works. 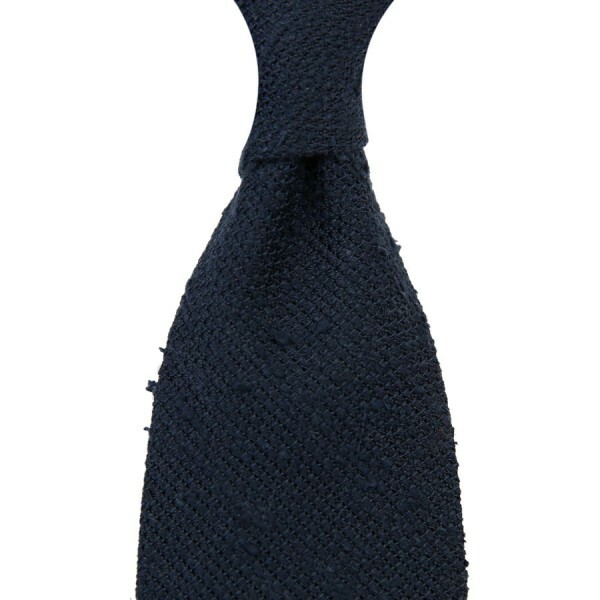 Related links to "7-Fold Shantung Grenadine Tie - Navy - Handrolled"